Baby Boy Large Gift Bag by Rufus Rabbit. Perfect for delivering Rufus with a smile. 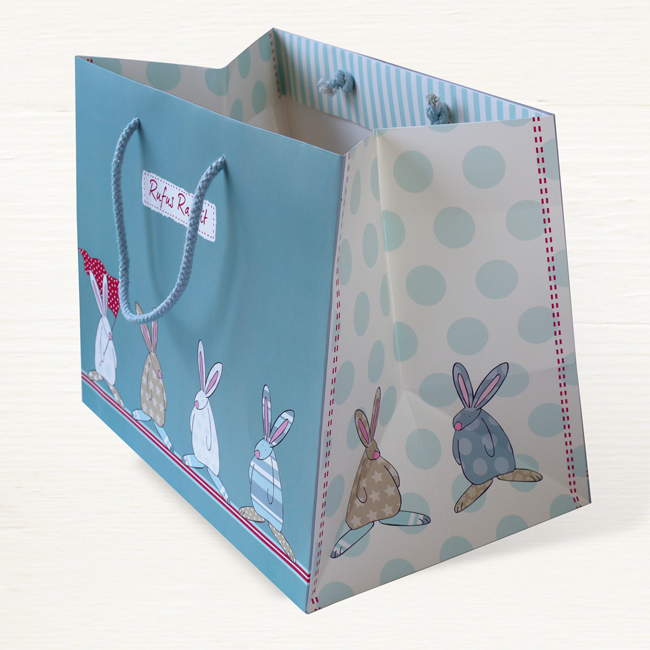 Our baby boy large gift bag featuring Rufus Rabbit has cotton cord handles. Designed specifically to accommodate our larger products such as the melamine dinner set and sensory soft toy. Surely this is the loveliest and simplest way to deliver Rufus with a smile! We also have a section of newborn baby cards to help complete your gift. Happy browsing and thank you for visiting the humble little world of Rufus Rabbit! Bag size : w: 32cm x h: 20cm x d: 12cm.